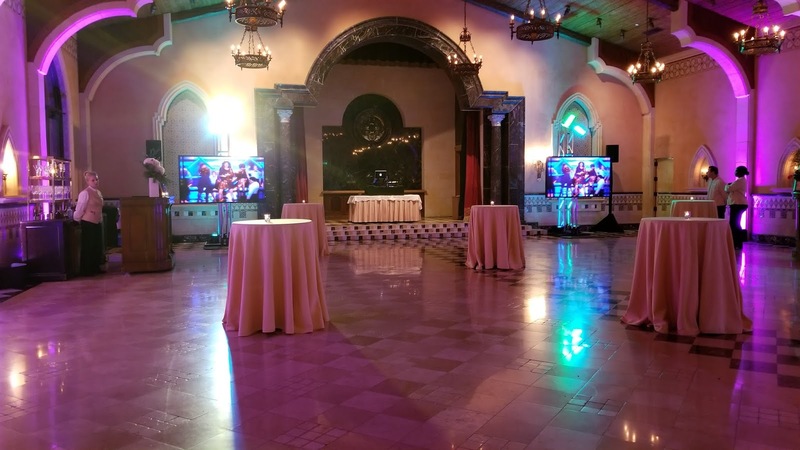 Dropped some classic 80's music videos to recreate an MTV experience (for those who can remember when they used to play mostly music, or any music at all) Including the Moonman commercial clip. 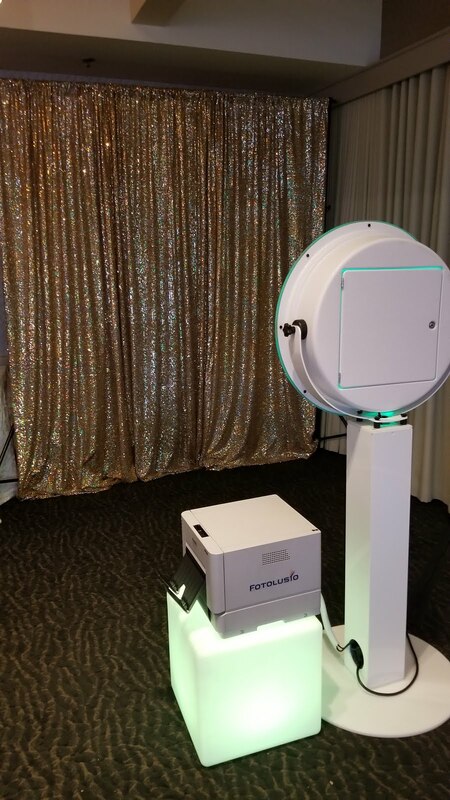 It's the Photobooth time of year. 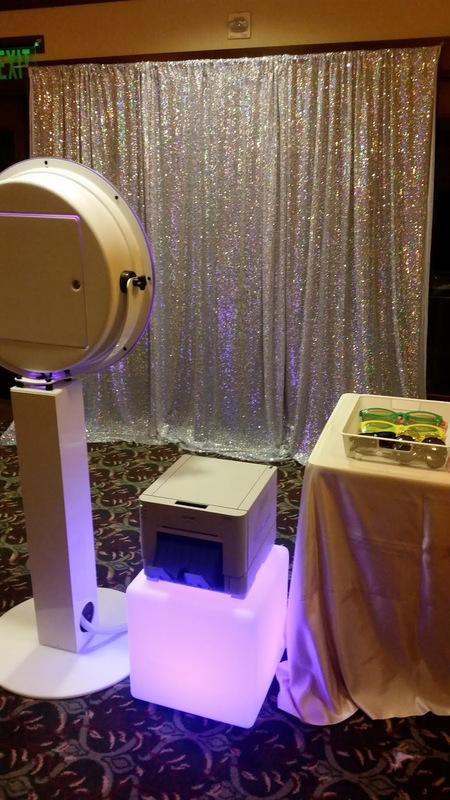 Photobooth is such a great addition to a company party. 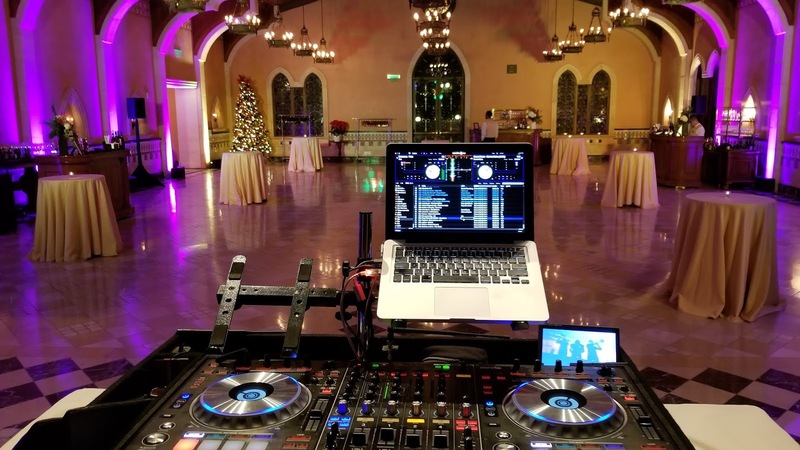 It gives that instant take-a-way memory for the guests and gives them a chance to cut loose, have fun and come back again and again if they like. This is NEW Project! 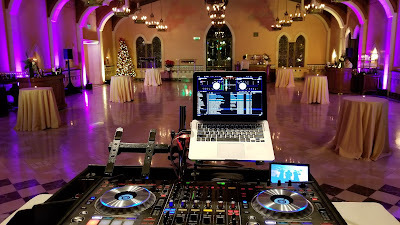 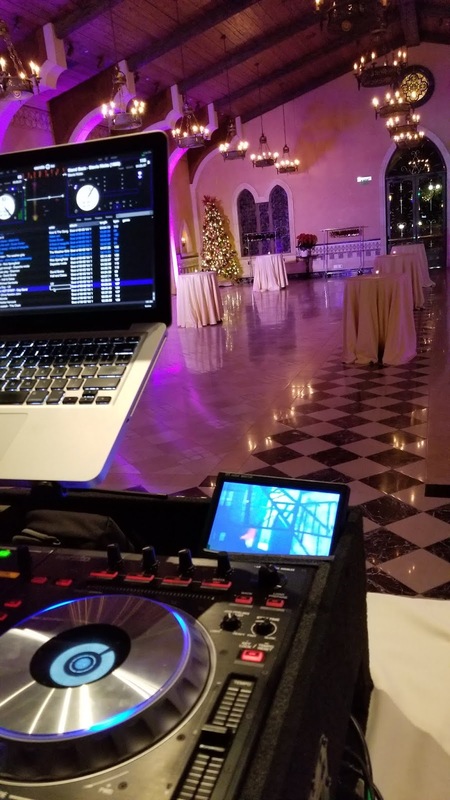 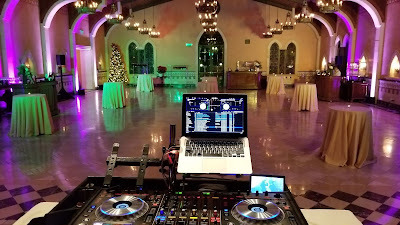 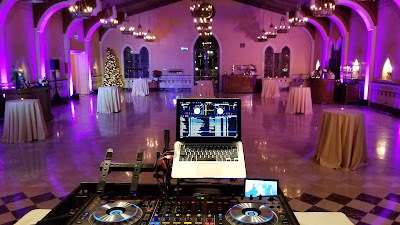 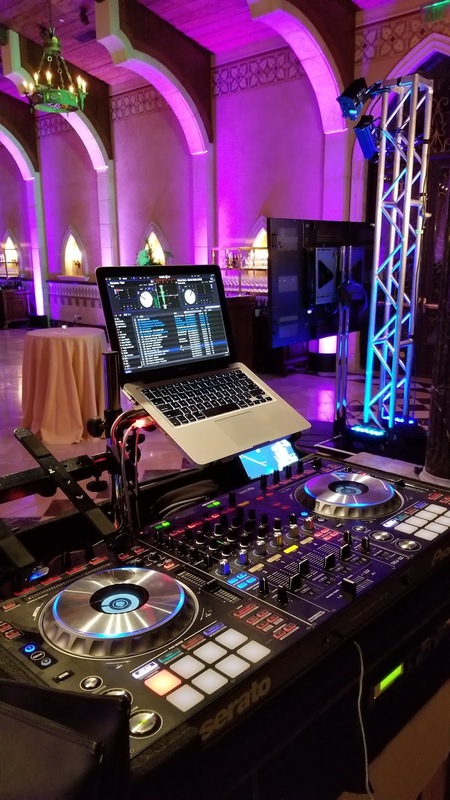 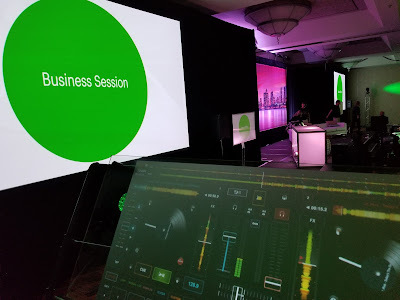 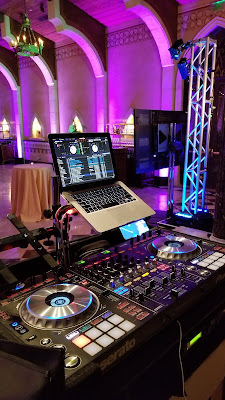 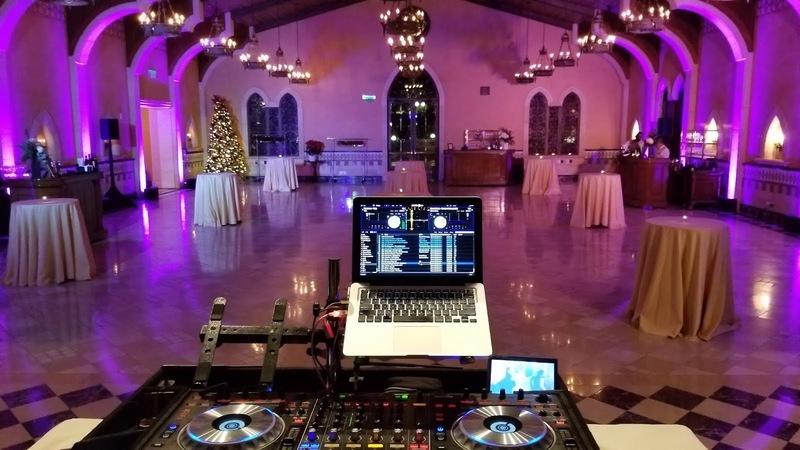 The 55" Touchscreen DJ Display is a large translucent glass touch sensitive work-surface that I use to DJ a variety of different types of events. 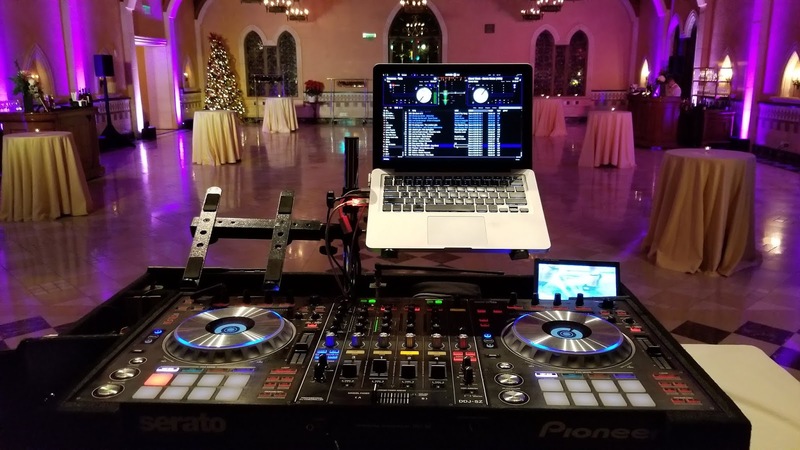 The audience can see every song I cue up and every beat that plays live on stage. 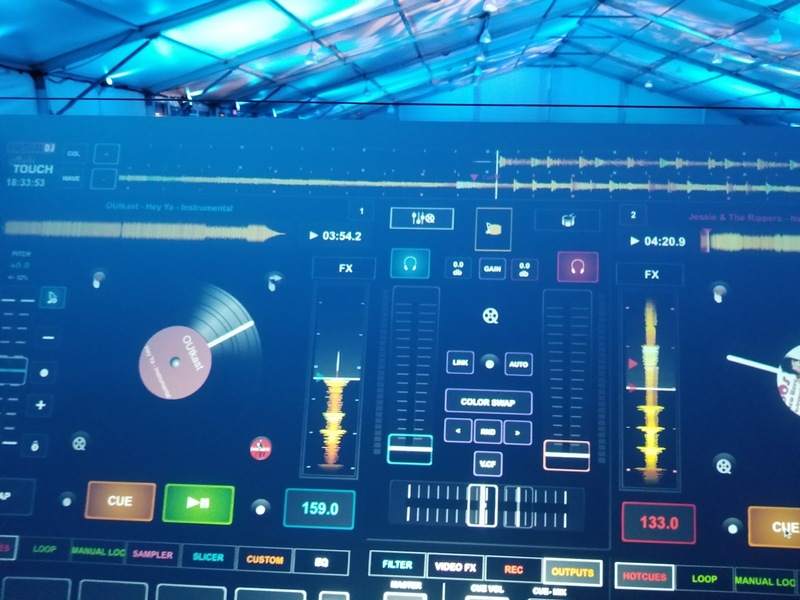 I saw this concept about 10 years ago at a trade show in Las Vegas but the technology was never quite capable of "DJing" with it. 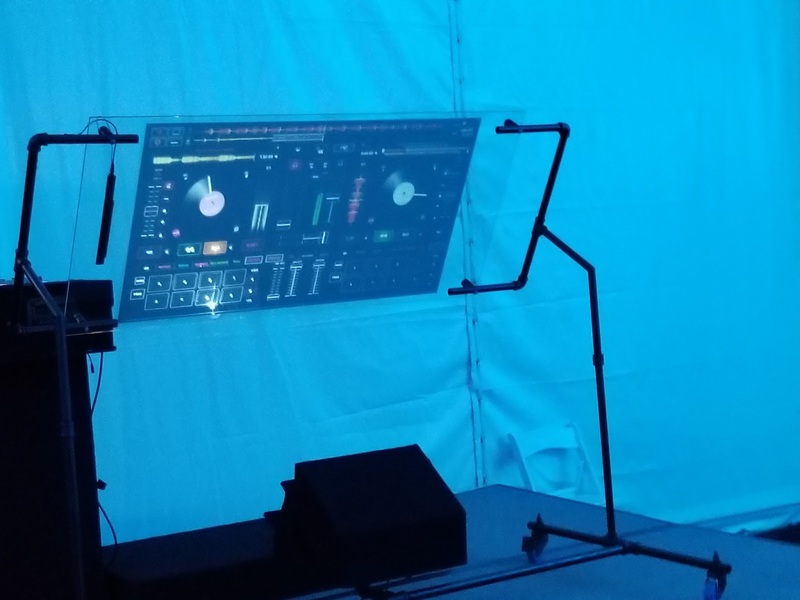 Latency and software issues prevented it from being a viable option to DJ with, until now. 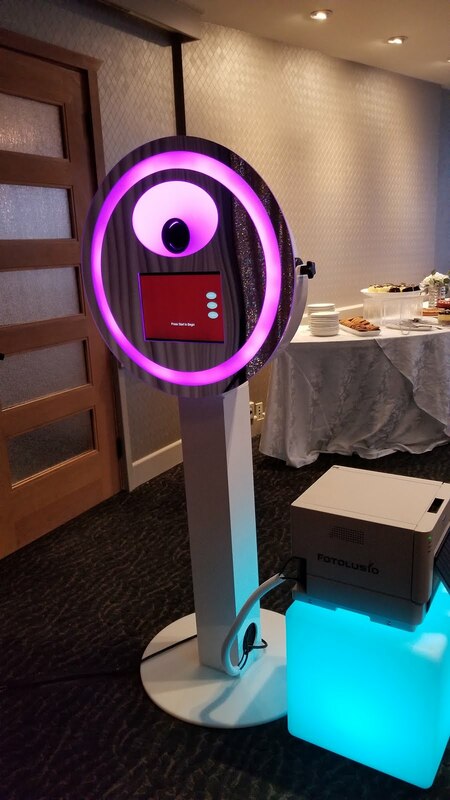 The Technology has finally caught up and works beautifully! 14 months ago, I special ordered this 6ft piece of glass and the technology to go along with it from sources around the world. Engineered the components in house and now its coming to a party near you. The design thrives on darkness, as you can see in this venue with all white walls. 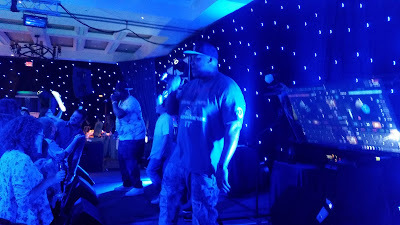 The support system is black and will almost disappear in darker environments like the E-40 photo above. But it still wows guests nonetheless. 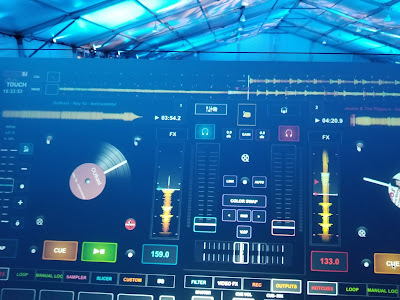 I easily get 10 people per event that want a closer look or to take a photo of the TouchScreen. 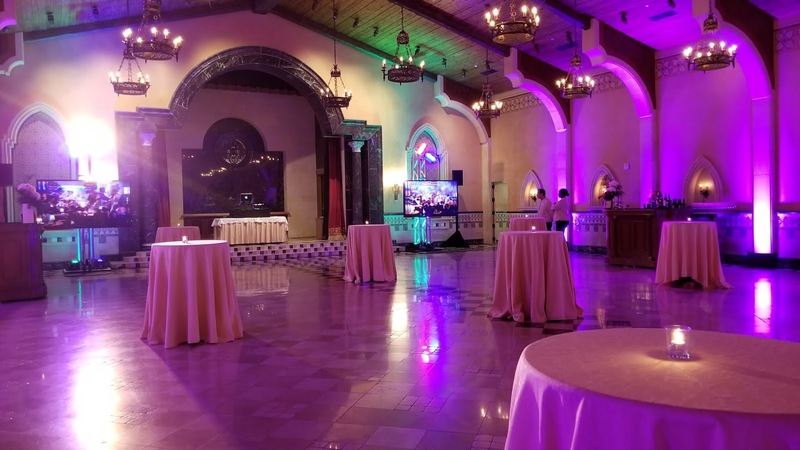 The 2017 WEC is complete and featured a wide array of educational discussions and product showcases that gave a glimpse of what is in store for Special Event technology in the next few years. 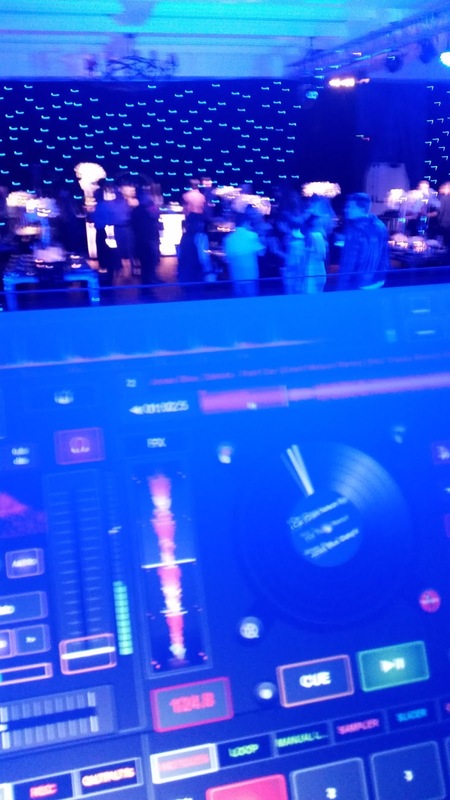 Entertainment included The B-52's, Joan Jett, The Jabbawockeez, Well Strung, The Blue Man Group and Deepak Choprah and showcased classic items like the Etch a Sketch and Rollercoaster VR - reinvented with new technology for a fresh look at whats to come in the future of event entertainment. 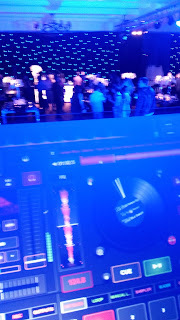 Women's Business Group, conference wrap party, fun on the dancefloor.